Financial Advisors: What Can An Explainer Video Do For You? - Financial Advisor Content | Wavelength Financial Content Inc.
Financial Advisors: What Can An Explainer Video Do For You? Looking for a way to revitalize your firm’s online lead generating efforts? Video is one of the most effective ways to convert visitors to your website into leads. In fact, studies show that simply including a video on your home page or landing page can increase conversion rates by a whopping 80%. 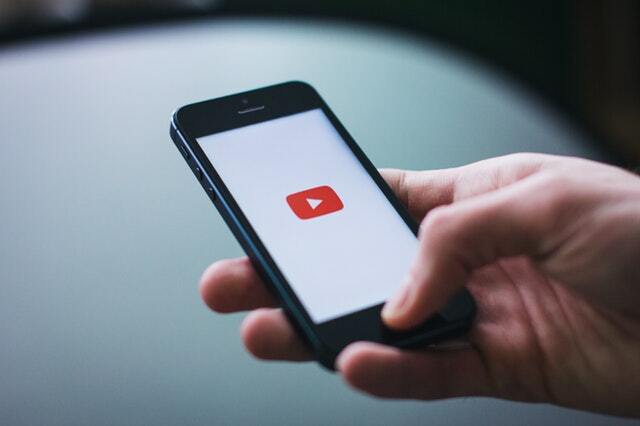 Additionally, 92% of mobile video viewers share videos with others. As a financial advisor, the benefits go further. Since you are selling a complex service, video can be used to convey the benefits of what you do. This is a powerful way to help potential clients see what working with your firm can do for them. Why is this important? Most consumers “shop” around on advisor websites, spending just a short time on each site. If your site doesn’t capture their interest, they will likely move on to the next one. Most advisor websites right now are usually one dimensional, describing the firm. The key to attracting prospects online is to orient your website to visitors and make it about them instead of about your firm. So instead of describing your firm and your services, the website needs to describe what prospects would get from your service. How might their life be different after working with your firm for a few months ? For a year or two? How about a decade? Video is the most effective and attention-grabbing way to illustrate that. Now, there are several types of videos. An explainer video is a short, one to two minute carefully scripted production that includes professional narration, background music and sound effects. It can be animated or be produced with a whiteboard drawing effect. Surveys show people are nervous about revealing their financial situation or lack of financial knowledge to an advisor. Even high income folks who may be experts at their profession may seriously lack investment knowledge, so don’t discount this issue. A well-crafted video can show your firm is approachable and compassionate along with having the right expertise to provide assistance. This can go a long way when consumers are comparing your website to traditional advisor sites that are formal and dry. As a financial professional, you know that your help can assist in creating peace of mind for your clients. Your clients know that, but unfortunately website visitors don’t. An easy way to illustrate how you can help is with a video showing a character getting the benefits of your service. It sounds simple, but the visual storytelling available in video is a powerful way to get your message across. Most advisor websites are not yet using video. When your website has this type of video on its home page, and your competition doesn’t, it makes your firm seem much more client-oriented and approachable. This is especially important to help attract younger generations and women investors who put a high value on communication. You can post it on social media to drive more attention to your firm and your website. You can include it in email to engage those on your drip email lists. While there is a higher up front cost, you’ll find that a well-made video can serve you across all of these platforms. While there are many talented scriptwriters and animators around, creating effective videos for the financial industry requires special insight. Look for a video team that understands the fears and concerns of the consumers you are targeting as clients, or else you may end up with something that looks nice but ignores the themes that yield results in this specialized industry. You want your video to educate, but its primary purpose is to educate potential clients about the benefit of your services. Remember that people come to your site to learn about your services, so be careful not to veer off into general education, which may frustrate the website visitor. To avoid this, make sure the team you hire to help create your video clearly understands marketing for financial services. Beware cutting corners too much. There are very inexpensive video options available, but these are best suited for secondary uses, not on your home page. Videos that you will use on your home page should reflect your brand. Unpolished videos with no connection to your brand or your firm unfortunately may not help, or even may harm your brand. Whoever you hire, you’ll get the best result by staying involved in the process. The more input and feedback you can provide, the more likely you’ll end up with a result that will serve your firm for years to come. Jeanne Klimowski is the founder of Wavelength Financial Content Inc. Wavelength is a provider of financial wellness programs and affordable financial content, including explainer videos, for the financial industry.